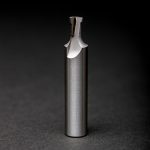 The pending patent is on the plastic design and the groove that is cut into the tip of the dowel, creating a “shoulder” that slides into the “ramp,” a tapered groove cut into the wood which guides the FastenLink dowel until it clicks into the locked position, seamlessly connecting the adjoining pieces into place. 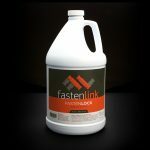 FastenLink replaces the wooden dowels and eliminates the need for cams, screws, or nails. For inquiries out the United States, Canada, and Australia please contact us at 844-470-5800.